PUTRAJAYA (March 12, 2012): A coalition of 83 non-governmental organisations (NGOs) want the government to reinstate the citizenship of the late Lim Lian Geok, a well-known Chinese educationalist and social activist. The coalition, led by the chairman of the Justice for Lim Lian Geok Movement Committee Datuk Dr Toh Kin Woon yesterday submitted 64, 848 signed postcards from the campaign supporters to the Prime Minister’s Department here yesterday. The committee started collecting signatures nationwide since last May until last month to urge the government to reinstate Lim’s citizenship. Toh said the movement is also demanding an apology and compensation from the government for Lim’s family. When asked on the amount of compensation, Toh said that it is up to the government to decide. “What is important is the principle that the government recognises its mistake, is willing to apologise and pay compensation (to the family). “That is an important and meaningful acknowledgement to us,” said Toh when met by reporters. He added that they were “disappointed” that the Prime Minister’s Department had only sent an officer to meet them. 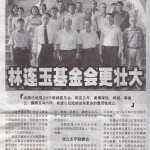 “Even the Prime Minister’s Chinese political secretary (Wong Nai Chee) did not come to meet us. “We only managed to talk to the officer concerned and passed him the post cards and memorandum containing our demands. “We hope that the Prime Minister (Datuk Seri Najib Abdul Razak) will respond positively to our demands,” said Toh. In 1951, Lim was one of the pioneers in setting up the influential United Chinese School Teachers’ Association Of Malaysia (Jiao Zong), and became its chairman in 1953. During his tenure as the Jiao Zong’s chairman, Lim was an active spokesman on issues of Chinese education and civil rights in the country. In 1960, Lim led a movement to oppose the Rahman Talib Report, which had recommended that secondary school medium be in either English or Bahasa Malaysia, and which the movement believed would eventually lead to Chinese secondary schools being abolished. This resulted in his citizenship being revoked on Aug 12, 1961 by the then Home Minister. 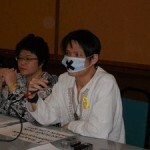 Lim was also stripped of his teaching permit. Lim passed away in 1985, as a stateless man. Toh said that the committee is also demanding for an Education Equality Bill to be passed to ensure that all streams of education get equal treatment and allocation of resources. Toh said the committee will be seeking opinions from educationalists, politicians and the public on this matter and hopes to complete a report in three months.